Dr. J. put out an appeal earlier today for readers to send in any Scams related to Hurricane Matthew. Literally within minutes Matthias sent us a Hurricane Matthew Phish that hit his inbox today. It purports to be from online payment company Stripe. Before we can fully provision your account, we need a few moments to verify some of the information you have provided. Of course the email is not from Stripe. Checking the usual; the spelling and grammar are okay; the formatting and punctuation are horrible; it was sent from an account in the ruby.net domain; and the dashboard link points to hxxp://fund2pay.org/stripe/ST/. If you click through to the landing page. 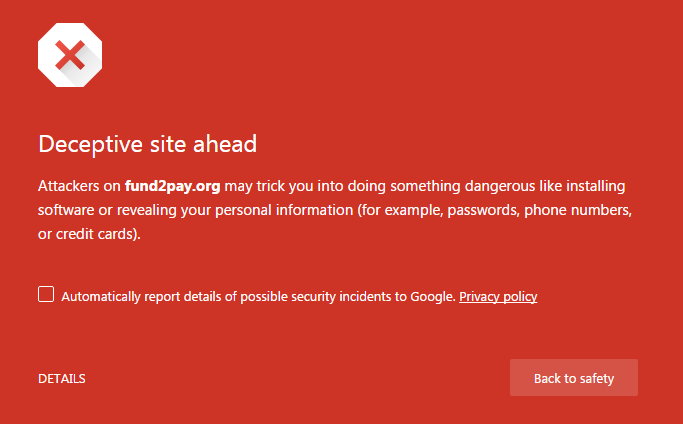 Google is already catching this as a phishing site. 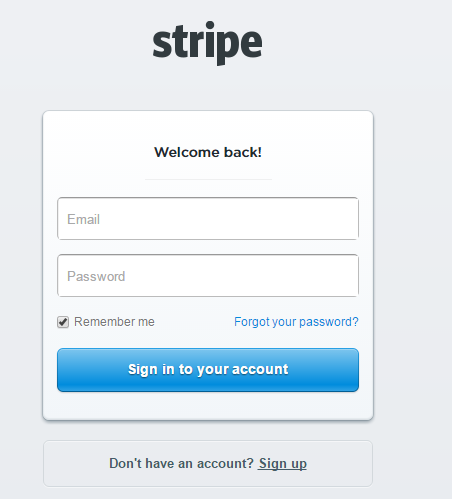 If you do click through, the page is an excellent rendition of the Stripe login page. If you do enter your credentials it takes you to a very similar page, presumably so you can verify your credentials. If you are going to Phish someone you should make sure you get it right! 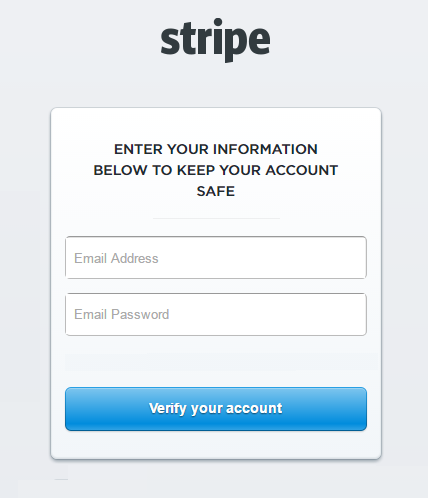 After you verified your credentials it passes you through to the real Stripe login page. Although Stripe notices the redirect. 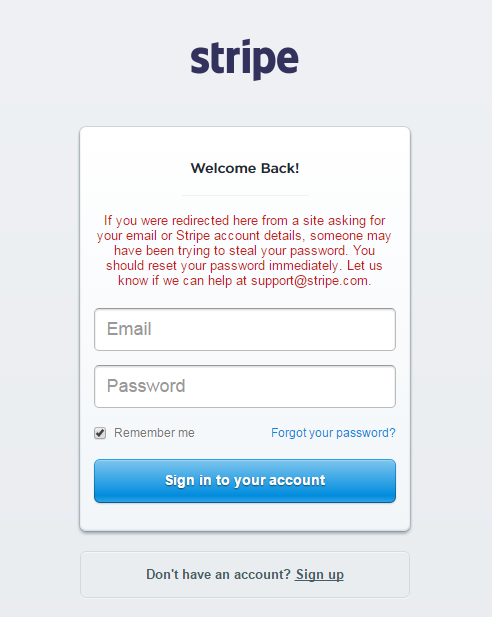 Probably most interesting is that it requests Stripe users to disable their 2-factor authentication. So assuming you do enter your credentials 3-times and disable your 2FA, the Phishers would have unimpeded access to the account. Tricky! In my mind this falls into the realm of low probability of success, but as P.T. Barnum said "There's a sucker born every minute." "the spelling and grammar are ok"?